• Taste famous Chinese cuisines of Beijing, Sichuan, Guangdong. Today's Activities:Beijing is a city of amazing contrasts - an ancient capital with some incredible historical sites and a bustling modern metropolis getting ready to host the 2008 Olympics. Upon your arrival in Beijing, our guide will meet you and transfer you to your Hotel. The guide will give you some tips on local restaurants that we recommend and you can do some shopping in streets nearby. The rest of the day is free to rest to recover from jetlag or to explore by yourself. Today's Activities:After breakfast head out for Tian'anmen Square, the world's largest public square, which is closely linked to the Forbidden City, from which the Emperors of the Ming and Qing dynasties governed for over 500 years. Later you'll visit the Temple of Heaven, where the Emperors prayed for good harvests and rain, or gave thanks for the harvest. in the afternoon visit Summer Palace with boat ride: The palace is positioned in the west suburb of Beijing, about 12 kilometers northwest of the city center. Equally famous as the Forbidden City, the Summer Palace is called'Yiheyuan'(Garden of Nurtured Harmony) in Chinese. It is up to now the best preserved and the largest imperial gardens in China. You may regret it if you come to Beijing without visiting this grand imperial garden. In the park, you can also have a boat ride on the lake for about 10 minutes. 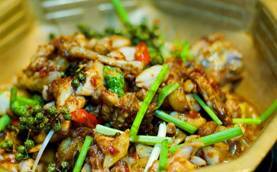 Meals: As for the lunch, enjoy wheaten food of Beijing cuisine at Jing Mian Da Wang Restaurant. Jing Mian Da Wang specializes in its traditional decoration of old city with archaistic red lanterns & bridal sedan chair; it mainly caters wheaten food to diners from local and different regions, creating a cozy atmosphere of festival and household. Today's Activities:Leave town in the morning for the drive (a bit under two hours) to the Badaling Section of The Great Wall, which stretches for over 6000 km, and was originally built to protect China from the barbarians. You can walk and climb at your own pace, or enjoy spectacular views from the cable car.Today's lunch will be arranged at Commune by the Great Wall. Before returning to the city you'll enjoy visiting the Changling (one of the Ming tombs), and the attractive tree-lined Sacred Road, bordered by stone statues, along which the Emperors once trod to conduct their sacred ceremonies. During the day a visit to Jade Caving Factory or Cloisonne (enamelware) workshop is included. Meals: we will enjoy the delicious lunch at the Xing Shuang Quan restaurant. Its specialties include the Huairou specialty rainbow trout, sturgeon, salmon and other many other varieties. In the evening, enjoy the Peking Roasted Duck which is renowned as the most delicious food of Beijing. Today's Activities:After breakfast, you will go to cooking school to learn Chinese cuisine. Get to know how many ways to cook different dishes. In the 1.5 hours' study, you get this chance to learn one course, and you will enjoy the fruits of your labor in this delightful eating experience. As for the lunch, we will degust Tan-style cuisine at Lin Hu Xuan Restaurant. Tan-style cuisine has been regarded as a kind of family cuisine, which has played an important role in tradition Beijing Cuisine. Arrived in Chengdu, you will have a dinner at Qin Shan Zhai Restaurant, It is famous for its restorative, which has two types with one is fried dish and the other is hotpot. The soup is cooked in light taste and good for your health. After dinner, you will appreciate the classic operatic circle of the origin of a hundred years-Sichuan Opera, and enjoy some local snacks while watching performance. Today's Activities:Today you will first visit the Giant Panda Breeding Research Base where you will see 12 very cute pandas and get to know more about this precious species in its museum. After lunch at Shu Long Restaurant, you will continue your cuisine tour to visit Du Fu Thatched Cottage and Chunxi Street. You can sample local arts and craft, traditional Chinese goods, local food and delicious snacks in the streets. In the evening, you will enjoy your dinner at Huang Cheng Lao Ma Restaurant, which is famous for its delicious hotpot; it caters hundreds of dishes to diners. With moderate flavors and ingredients it attracts people from different regions. Meals: Lunch:Sichuan cuisine at Shu Long Restaurant. Dinner:Hotpot at Huang Cheng Lao Ma Restaurant. Today's Activities:Your thrilling day will be started to visit Jinli Old Street and Wu Hou Temple. Picturesque, bustling, and cheerful, you can sample local arts and craft, traditional Chinese goods, food and delicacies, and even a Starbucks in the street. Andthen, you will have lunch at Long Chao Shou Snack,which is a time-honored snack bar with different kinds of snack. Ordering a package of snack it gives you a chance of tasting all the delicious food in Chengdu. Arrived in Guangzhou, you will taste Seafood-one of representative of Guangdong food. After dinner, you could you could explore Shangxiajiu Walking Street by yourself. Here you can find lots of modern and fashionable things that may suits you. Today's Activities:After breakfast, you will visit Qing Ping Market. It is the largest street market in Guangzhou with multiple shops of Chinese medicines (including live scorpions!! ), spices, fish, pets, and flowers. Over 60, 000 people shop in the market every day. After get familiar with local cuisine ingredients, you will start your Guangdong Cooking learning. The Guangdong cooking style is another unique culture for you to experience when you are in China. Get to know how many ways to cook different dishes. In the about 3 hours' study, you get this chance to learn one course. Enjoy the fruits of your labor at last. In the afternoon, you will visit Chen Ancestral Shrine. The temple is especially renowned for its beautiful craftsmanship. As for dinner, you will taste the Cantonese food at Lianxiang Restaurant. The famous specialties are sweetheart cake (wife cake), almond biscuit with lotus-seed-paste, chicken cake with lotus-seed-paste and all kinds of moon cakes. Meals: Lunch:Cantonese food Dinner:Cantonese food at Lianxiang Restaurant. Today's Activities:Transfer to airport for your departure.